Paradise “Vera” (above) – This style can be work cross body or as a long shoulder and is the perfect size for toting all of your essentials for day. 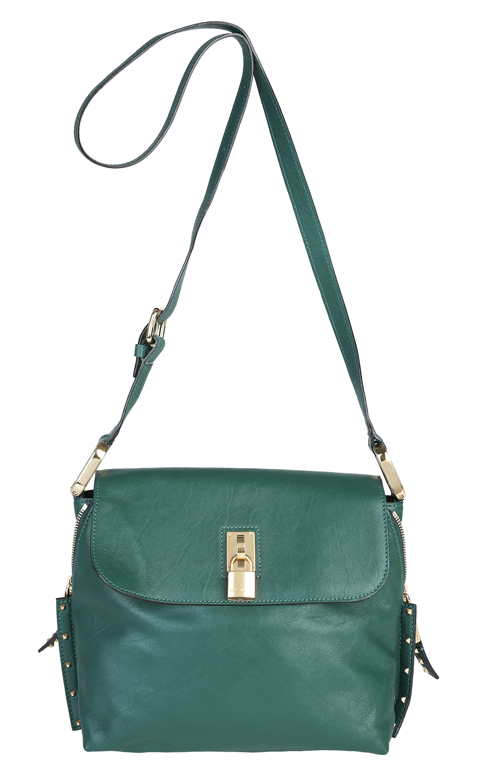 Available in Black, Blush, Taupe, Cloud, Fuchsia and Green (pictured) and retails for $695 at Marc Jacobs LA 323.653.0100. Baroque “Sullivan” – An updated take on the classic quilted flap, this style has a long gold chain strap and signature Marc Jacobs padlock. This is the perfect accessory for right now to wear over your chic winter coat. Available in Black, Blush, Taupe, Cloud and Yellow and retails for $1195 at Marc Jacobs San Francisco 415.362.6500. Day to Night “The Single” – The ultimate “go anywhere” bag, this style is worn cross body and looks great day or night. 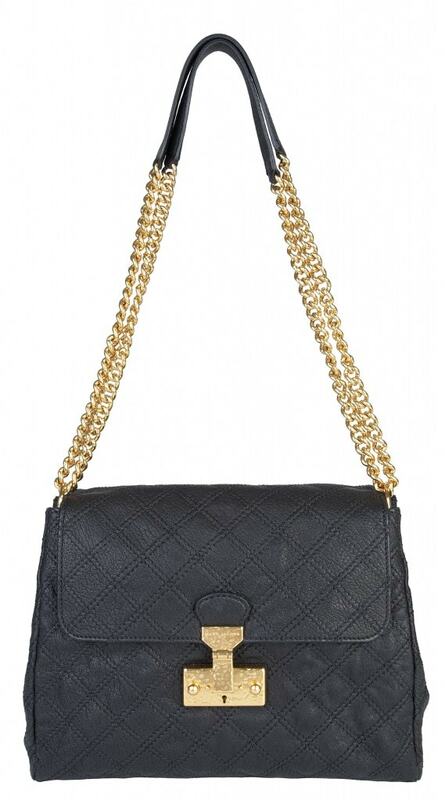 The gold chain strap and luxe quilted leather perfectly complement any outfit. 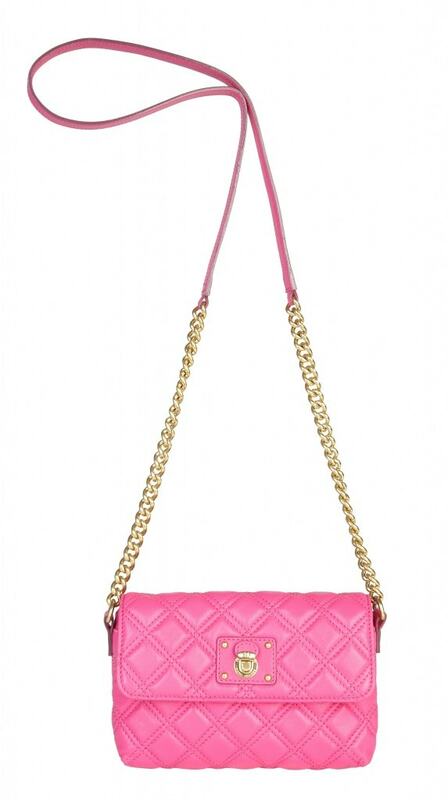 Available in Black, Blush, Blue, Bright Pink and Purple and retails for $525 at Marc Jacobs Mercer 212.343.1490. Previous Post: « Build Your Own Slider Bar For Super Bowl Sunday! I absolutely love the green bag!